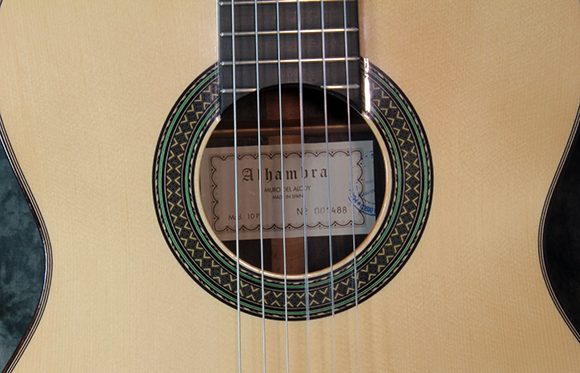 Comments The Alhambra Model 10p is a fine instrument and is available with either Red Cedar or European Spruce top. We’re illustrating the Spruce top model here.The Alhambra Model 9p and Alhambra Model 10p are very similar guitars – the construction is the same, but the 10p has an extra layer of inlay (one line on the 9p and two on the 10p). 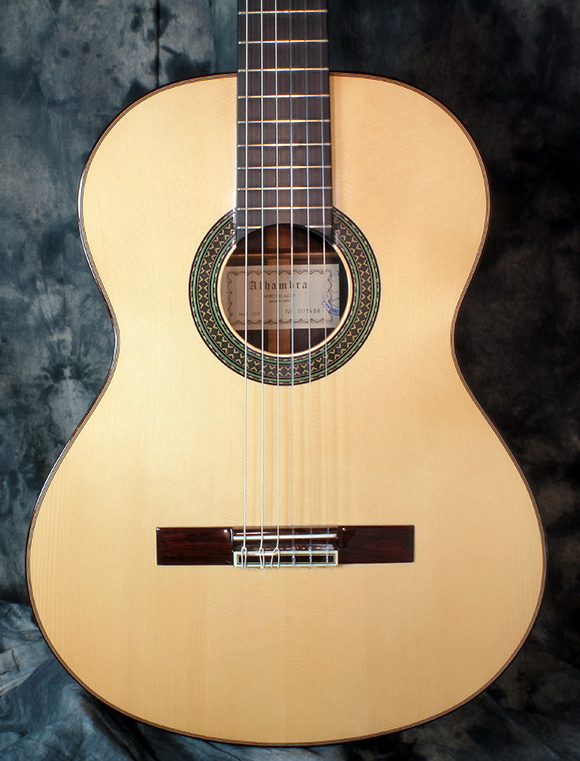 The choice of Red Western Cedar or German Spruce for the top is up to the player. Both provide an excellent sound and will open and develop with use – the more you play the guitar, the better it sounds. Red Cedar develops more rapidly into a warm, rich tone, while Spruce provides added brilliance and top end, with a faster response. 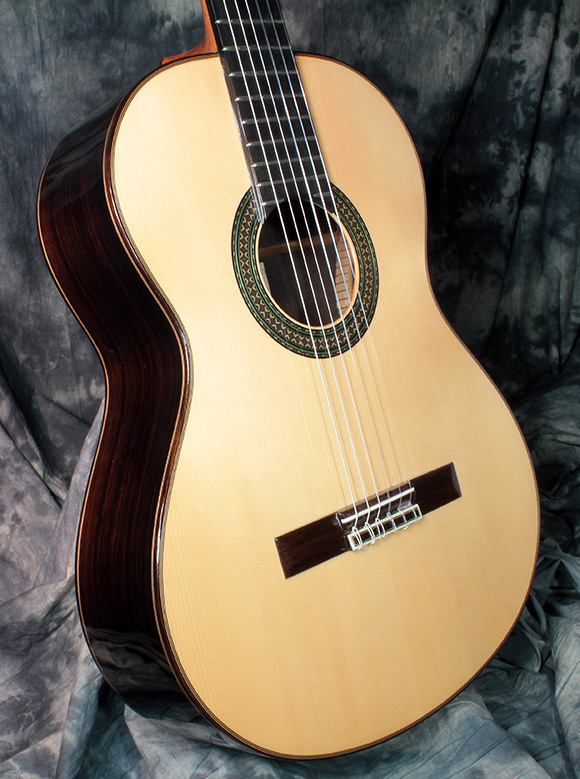 Visit the Guitarras Alhambra website to learn more about the Alhambra 10p! Serial Number Varies as new. Built at the Alhambra facility in Alicante, Spain. Pricing $2389.00 Canadian dollars with case, or $1,927.00 US dollars (based on 1.24% exchange) with hardshell case included. 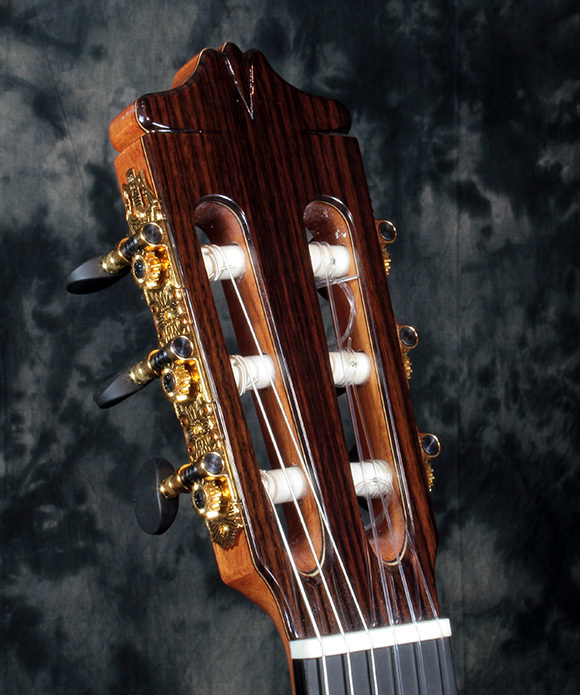 Neck Spanish cedar neck with ebony stiffener insert, and unbound ebony fingerboard. 52mm nut and 650mm scale length. 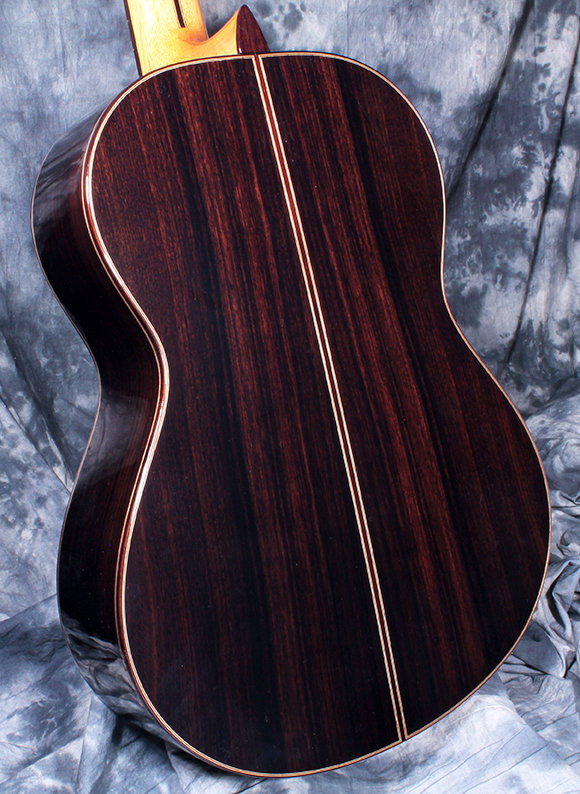 Body Western Red Cedar or German Spruce top, with Solid Indian Rosewood back and sides. 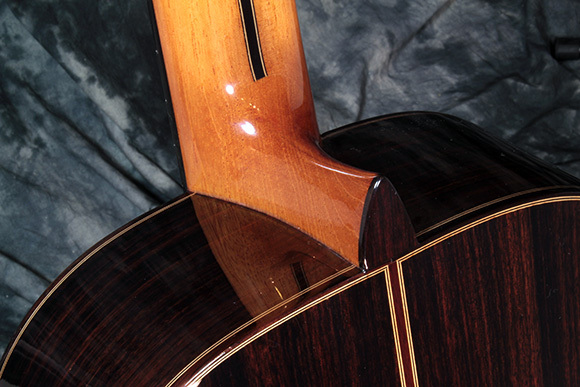 Rosewood binding and bridge. Hardware/electronics Bone nut and saddle. Deluxe gold tuners with ebony buttons. 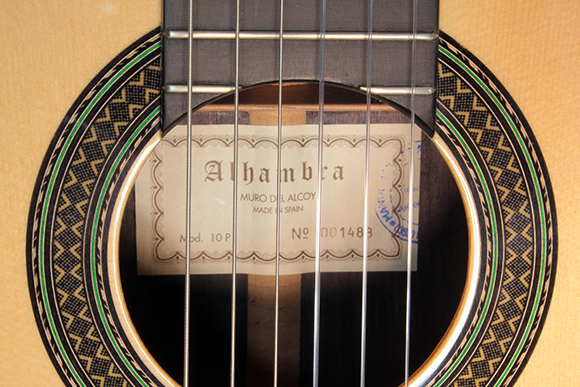 Playability/Action As with all Alhambra instruments, the Alhambra Model 10p plays very well as delivered and we will of course set up the guitar to the player’s requirements. Case ‘Euro’ hardshell case included.